Listen to "Point of Confusion" By Mark Lint. The first respondent to my call for musicians and other artists at the end of ep. 105 was the Swedish musician Daniel Gustafsson, who immediately contributed around eight different tracks to this song including nearly all the keyboards and all the electric guitars. You can hear a few of his instrumental compositions here, here, here, and here. The other contributor, who in the 11th hour of this song's creation sent me the synth theremin part you'll hear near the end of the song, was Maxx Bartko, whose work you can hear here. This was a song written largely in early fall, 1994, just as I started graduate school. Having been created in the midst of the power pop tunes that became the Fake Johnson Trio album, this was an odd duck: much too wordy and sprawling for me to put in a band context. But the theme of our skepticism episode (coming to a point of ataraxia, or contentment, precisely because of confusion) drove me to find the two pages of lyrics (which for some years had been separated, guaranteeing that I would do nothing with this song), squint and strain to decode my handwriting, fill in the gaps (I have no idea what melody I intended over the lengthy bridge section here, so I sang whatever seemed to work over the chords and wasn't too repetitive; plus I wrote a few new lines of lyrics toward the end to justify repeating the chorus again and added the little I-IV-V outro), and make what I think is one of my most fun recordings to date out of this tune that I had abandoned. Much of the credit for that goes to Daniel, whose old-style synths and love of prog rock (we had a little email conversation about Gentle Giant, whom I've been delving into of late) created some lovely symphonic moments in what could have been rambling and unstructured. As an instrumental composer, I'm sure he's not used to having his contrapuntal gestures squeezed down to fit under lyrics (he said this song has more lyrics in it than he writes in a year), but to my ears at least, it all sits together... after my usual dictatorial struggles during the mix, whereby parts get chopped up, shuffled around, smoothed, and buried. You'll also hear a cameo on here from my daughter Mina, who's 11, and can hit those high notes I can't. What's the song about? It's a big hunk of YA angst. 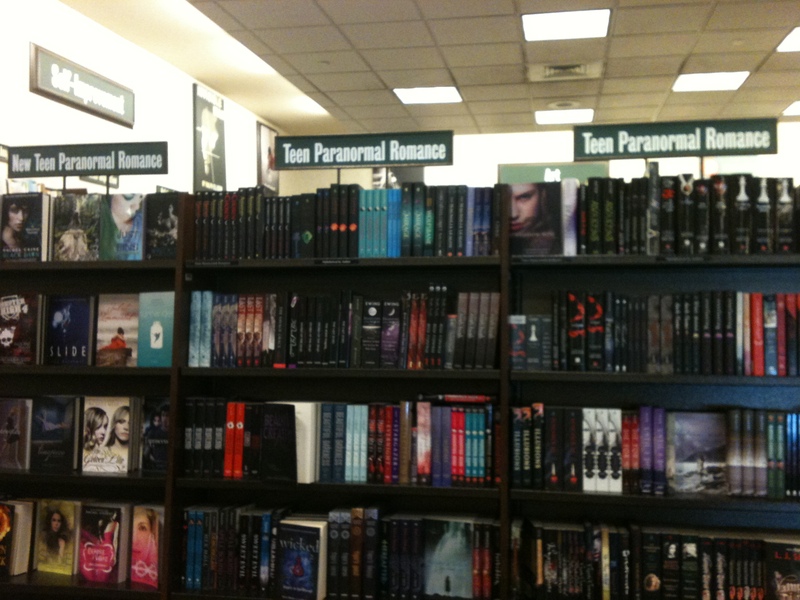 If it were a book in Barnes & Noble, it might be in the Teen Paranormal Romance section. (Which I think should be next to the admittedly less popular "Elderly Surreal Western" section.) Really, just don't worry about it. 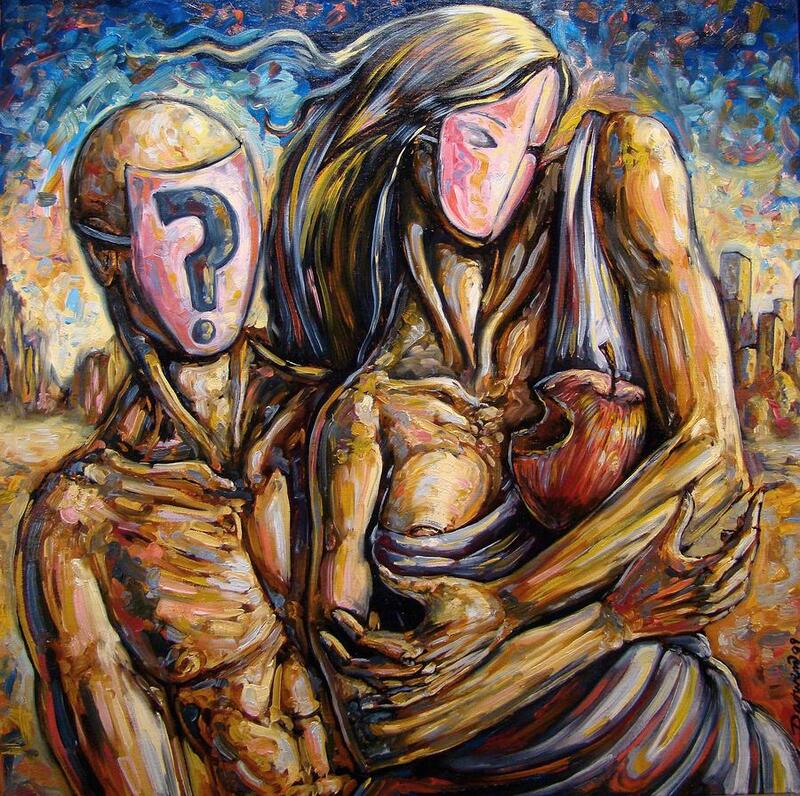 Image note: At the top of this post is the painting "Delusional Confusion," by Darwin Leon. You can order prints of it here.